The shootout in Waco this spring left nine bikers dead and 177 others behind bars. It's been 121 days since the so-called biker gang shootout in Waco. Despite nine deaths and a mass arrest of 177 people – each held for days or weeks on $1 million bonds – there have been exactly zero formal charges brought against anyone. Nor has any evidence been offered to support the arrests. And there's been no word whatsoever on whether (or when) cases might be presented to a grand jury, which is currently led by a Waco police detective. To make sure no one talks about this case, there's a gag order in place. In June, a Dallas-based lawyer for Matthew Clendennen – one of the bikers who was arrested – filed a federal civil rights lawsuit against Waco, McLennan County, District Attorney Abel Reyna and Waco police officer Manuel Chavez. Monday, that same lawyer filed a brief with the Texas Court of Criminal Appeals asking that the gag order in the case be lifted. Families and their attorneys are afraid to talk. There are also issues with the evidence from the crime scene: Autopsy information has been incomplete, and some ballistics information is missing. Neither state nor federal officials seem to be asking questions about transparency, criminal procedure, due process or civil liberties. And that's making it harder to answer that overriding question: What really happened outside that restaurant in Waco? Who fired the first shots? Who fired the fatal shots? If police have answers, they don't want the public to know them, at least not yet. Tamara Tabo heads up the Center for Legal Pedagogy at Texas Southern University, and she's been closely following the story. "It does seem sort of conspicuous that officials haven't at least released more information about their investigation," Tabo says. Hear more at Texas Standard. 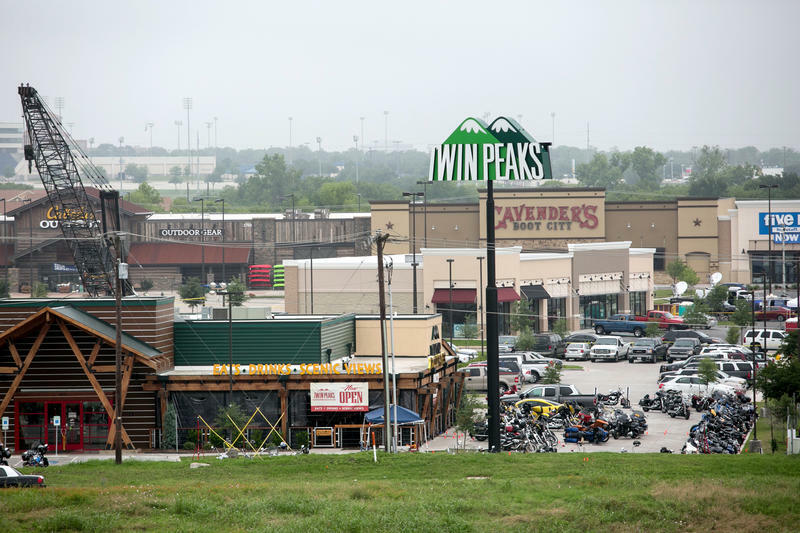 Authorities in Waco are still on alert after Sunday's shootout at a Twin Peaks restaurant, which involved five biker gangs and ultimately left nine dead and 18 injured. The gun battle centered around two Texas motorcycle clubs: the Bandidos and the Cossacks, an upstart gang that crashed a Bandidos meetup at the restaurant. While the news stunned many in Texas and garnered national attention, the news was especially shocking to Texas Monthly's Skip Hollandsworth, who wrote about the Bandidos for the magazine in 2007. Hollandsworth spoke with KUT's Nathan Bernier about his experiences with the Bandidos, the fierce loyalty and business savvy of its members and the impact Sunday's shooting will have on the group in the future. 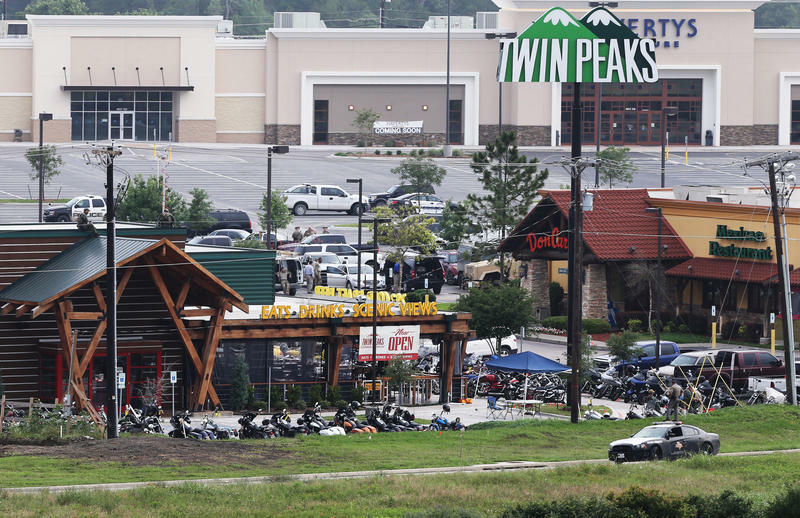 Waco police say nine people have been killed and others injured after gunfire erupted between rival biker gangs at a restaurant. Waco police Sgt. W. Patrick Swanton says eight people died at the scene of the shooting at Twin Peaks restaurant about noon Sunday and another person died at a hospital. Swanton says the fight began with punches and then escalated to knives and firearms. It's not immediately clear if bystanders are among the dead. The severity of injuries to others was not immediately known. 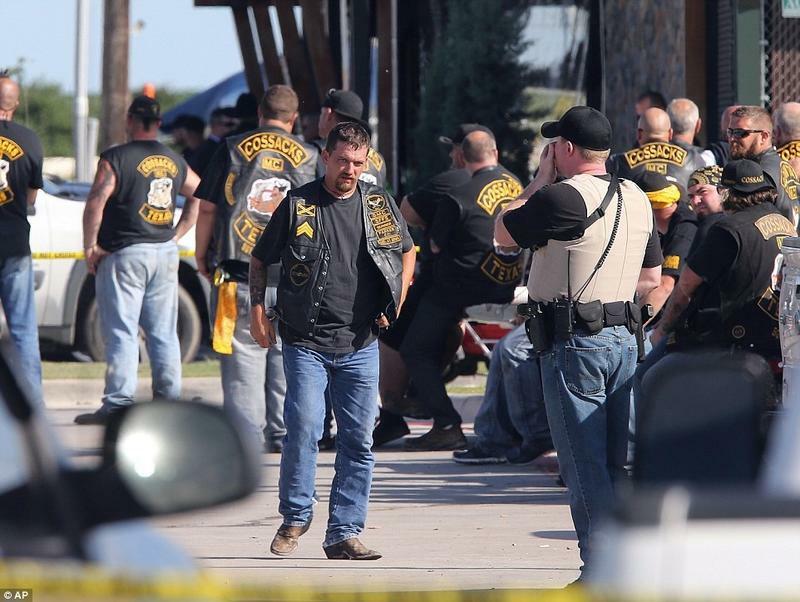 Tamara Tabo runs The Center for Legal Pedagogy, and she has some concerns over how authorities are handling the cases of more than 170 bikers arrested in the May 17 shootout in Waco, Texas. 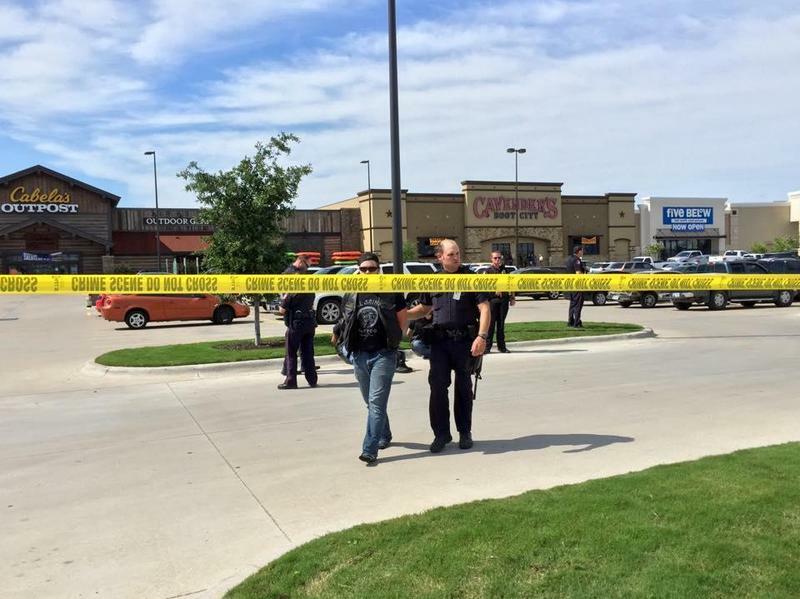 In May, a fight between two rival motorcycle clubs turned into a bloodbath in Waco, Texas. Nine people were shot dead, and at least 20 were injured. 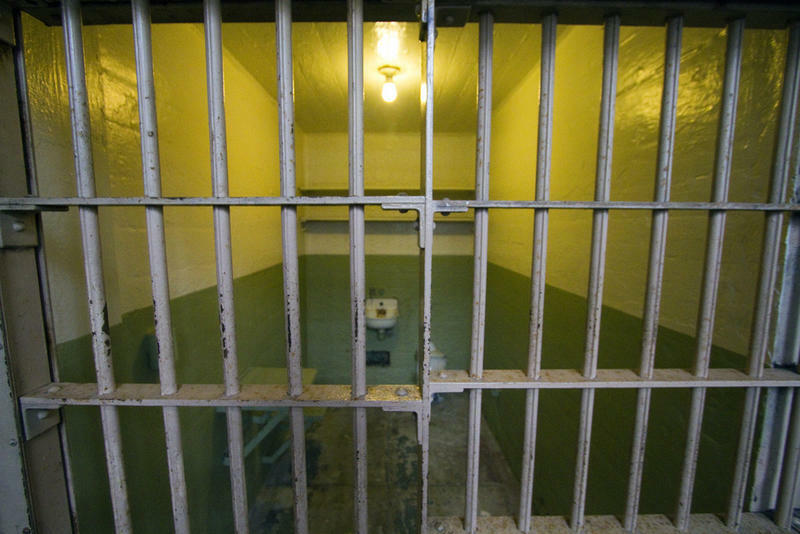 In the end, 177 people were arrested and jailed on charges of engaging in organized crime. But many of them say they had nothing to do with these "outlaw" motorcycle clubs — and nothing to do with the violence. Among them are Walt and Ester Weaver. Walt says he's stunned by the way authorities handled the situation. 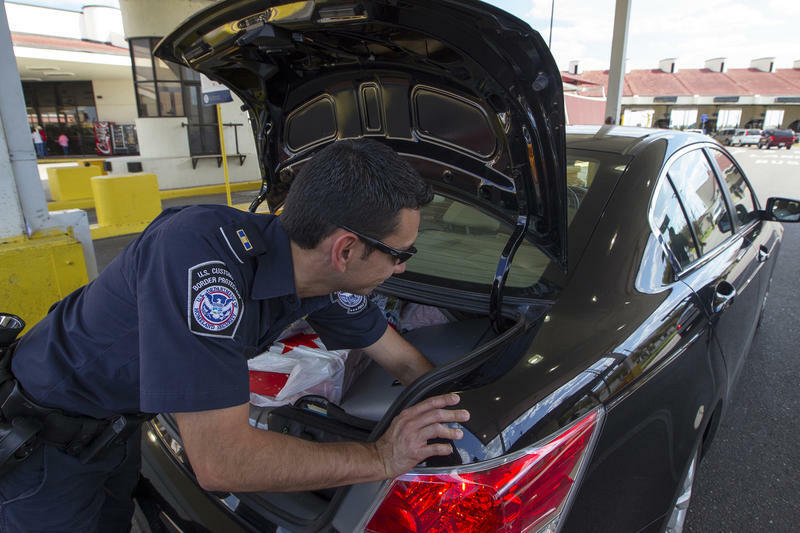 It's been called the checkpoint of the stars: Willie Nelson, Snoop Dogg and Fiona Apple have all been snagged at the Sierra Blanca Border Patrol checkpoint. Musicians and other celebrities have been booked and charged for marijuana possession by Hudspeth County Sheriff Arvin West. But West now seems to be saying his days of cracking down on every joint and baggie may be over. NPR Southwest Correspondent John Burnett just returned to Austin from West Texas, where he checked out that checkpoint. "I wasn't holding. They passed me right through," Burnett says, for the record. But what if Burnett had been carrying a personal amount of marijuana? For 35 years, Jerry Hartfield sat in a prison awaiting trial — and now he’s finally getting one. Hartfield was convicted in 1977 of murdering a woman in Bay City. He was sentenced to death, even though by today’s standards, his IQ of 67 is considered mentally impaired. Three years after that conviction, in 1980, it was overturned because of problems with jury selection. The governor of Texas at the time, Mark White, commuted the sentence to life in prison. The problem? The underlying conviction has been invalidated, so there wasn’t even a conviction to commute. Hartfield waited for years in prison for a trial that never came.